You are here: Home / Travel Tips / Where Do You Find the Best Flight Deals? As we start to plan our 2014 vacation to Roatan, Honduras, I have been doing a lot of research from flights to rental homes, activities and more that I’ll be sharing along the way. 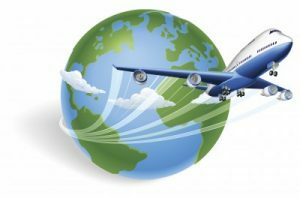 Today I came across some flight search tips on how to find the best flight deals from Fox 32 News that I thought were pretty cool. Be sure to check out the sites they mention in this video. They sound interesting. We have used the Kayak online travel guide that they mentioned before and liked it. I’ll have to head back there and start my research. We have credits on United.com but they aren’t showing flights that far out yet. I will keep trying though because it would be best for us to cut down on cost using those credits. Otherwise, we’ll be paying out the wazoo to get there. Whatever it takes, we need this vacation. It’s going to be a blast! Have you ever been to Roatan, Honduras? Where do you find the best flight deals? Normally I am a Kayak user. However, after checking these ideas out I really liked Google Flights. It was easy to use. I did notice that prices did change between sights. So nice to have this information at your finger tips and find the best deal! My go to sites are Kayak and Skyscanner. Enjoy your trip to Roatan! I often use Airfare Watchdog.